Bangkok, Thailand, 9 April 2017 – SRSG Santos Pais joined Buddhist leaders from Cambodia, Lao PDR, Myanmar, Sri Lanka, Thailand and Viet Nam to discuss the scale and impact of violence against children and how they could use their special position in society to help bring it to an end. 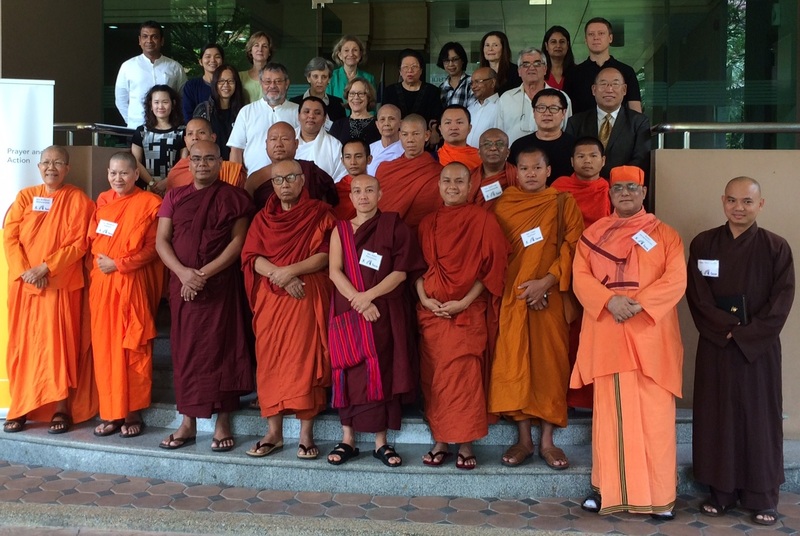 The meeting was organized by Arigatou International, the International Network of Engaged Buddhists and ECPAT International and focused on the role of Buddhist communities in preventing violence against children, in particular the sexual exploitation of children. During two days of discussion, participants identified some of the key challenges in preventing and responding to violence against children and ways in which they could use their leadership position within their communities to raise awareness and promote action. In her keynote speech to the meeting, the SRSG provided an overview of the global situation and noted the opportunity to accelerate action presented by the 2030 Sustainable Development Agenda and its target to end all forms of violence against children. She also highlighted that around the world religious leaders command extraordinary moral authority, foster dialogue, help to bridge differences, and influence thinking and behaviour change in their societies. She gave examples from different faith communities, including Buddhism, of how religious leaders have been able to break the silence surrounding violence against children and provide help and support to its victims. She also noted that religious leaders have used their influential voices to call for increased attention and stronger responses by governments to violence against children, including through law reform, strengthened policies and allocation of resources. “You are leaders in the process of change needed to build a world of peace, justice, solidarity and joy for every child, a world where violence, in whatever form and under whatever circumstance, finds no justification or excuse.” Santos Pais said in her address. At the end of the two day meeting, the Buddhist leaders identified six major areas where they could focus their follow-up to what was learned at the meeting. These included becoming more knowledgeable about how to recognize and respond to violence against children, including sexual abuse and exploitation online, and raising awareness by using their extensive networks of influence. They also proposed creating a new initiative to bring together Buddhist leaders in Asia to increase commitment and action to strengthen child protection in their communities. At the conclusion of the meeting, the SRSG acknowledged the sensitivity for the participants of the issues raised, including the occurrence of violence and sexual abuse in Buddhist temples and schools. She appreciated their courage in actively engaging in the discussions and willingness to take a stand, “Sexual violence against children is a taboo issue in all societies but we must be prepared to speak out and address it. All religions, including Buddhism, teach non-violence and this is a powerful message to use to help bring an end to violence against children your communities. Your openness to working to ensure that all Buddhist temples and communities are safe spaces for children that can heal and reintegrate victims of violence is inspiring. Working together we can make children’s dream of a world free from fear and from violence a reality!"